The “Pink City” of Jaipur is full of ancient palaces and forts, with most of them boasting stunning views and elaborate architecture. 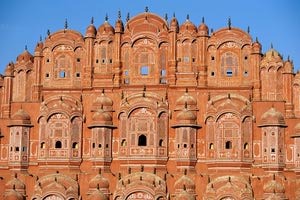 Jaipur forms part of India’s popular Golden Triangle Tourist Circuit, and lures visitors with its evocative remnants of a bygone era. 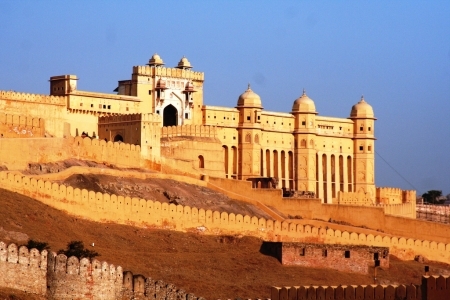 A visit to Jaipur will give you a feel for how the monarchy once lived in all its glory. Staying in Jaipur is also particularly enjoyable. The city has some incredible heritage hotels that have been converted from old palaces, giving guests a very regal experience! 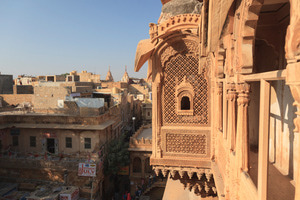 Jaisalmer is often referred to as being straight out of a romantic Arabian Nights fable. It’s a cliche, but how better to describe this remarkable sandstone city that rises magically from the sand dunes of the Rajasthan desert? Jaisalmer’s mesmerizing ancient fort, built in 1156, is perched high on a pedestal overlooking the city. Inside, the fort is alive and spellbinding. 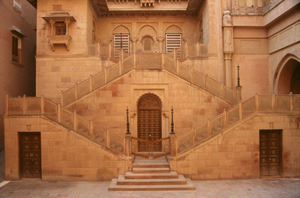 It houses five palaces, several temples, and some exquisite havelis (mansions), as well as shops and other residences. Affectionately known as the “Blue City” for its blue painted buildings, Jodhpur is the second largest city in Rajasthan. The walled old part of the city is presided over by the looming Mehrangarh Fort. 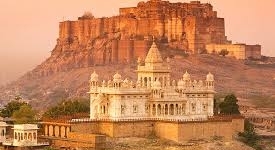 One of the largest forts in India, it’s the pride of Jodhpur. Every October it has the honor of providing the setting for the Rajasthan International Folk Festival. Inside the fort are a number of palaces, and a museum. 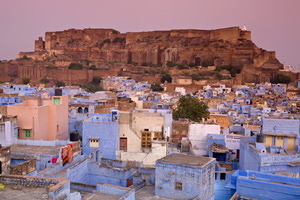 The fort is also an excellent place to view Jodhpur’s blue buildings. Ranthambore National Park is full of history, having witnessed many battles played out on its land, and the rise and fall of many rulers. The chances of spotting a tiger in the wild at Ranthambore are amongst the best in India. 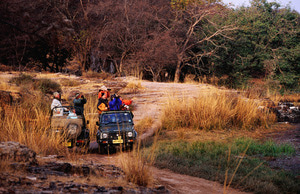 In contrast with many national parks in India, Ranthambore is also really accessible and easy to get to. The landscape is dominated by the formidable 10th century Ranthambore Fort. It’s a huge structure that contains ruined pavilions, splendid monuments, and three Hindu temples. Warning: Ranthambore is facing a lot of tourist pressure and safaris are not well managed. For most of the year, Pushkar is a sleepy little holy town that attracts a lot of backpackers and hippie types. Pushkar really comes alive for a couple of weeks in October/November, when the Pushkar Camel Fair comes to town. It’s a peculiar sight, and a great opportunity to witness an old traditional style Indian festival. Puskar is worth a visit at any time of year though if you want to chill out. However, it’s not like it used to be there. These days Pushkar is becoming much more westernized and tourist focused. The priests by the bathing ghats (steps) are known to be very forceful in demanding donations too. Avoid that area, and head to the Pushkar market for some great shopping instead! 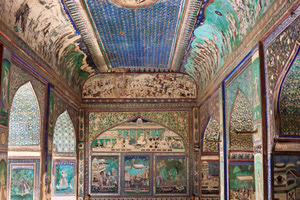 If you’re an art lover, or even someone who’s into architecture and history, the Shekhawati region of Rajasthan is well worth including on your itinerary. 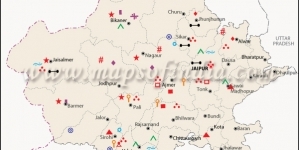 Located in the triangle of Delhi, Jaipur and Bikaner, many people overlook it in favor of more popular destinations in Rajasthan. 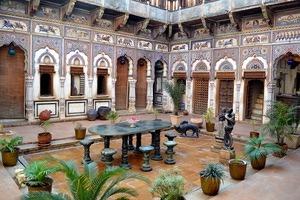 However, this unique region is often referred to as the world’s largest open air art gallery, with old havelis (mansions) having walls adorned with intricate painted frescoes. 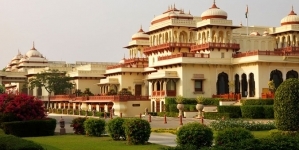 The vibrant desert town of Bikaner receives less tourists than many other prominent destinations in Rajasthan. 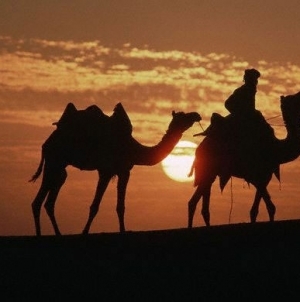 It’s an excellent place to go on a camel safari, as an alternative to Jaisalmer. The main attractions are the atmospheric walled Old City and fort. Bikaner is also renowned for the infamous Karni Mata rat temple nearby. The Karni Mata Festival, held to worship the rats there, is one of the quirkiest festivals in India. A Camel Fair is also held in Bikaner every January. Although quite popular with travelers, Bundi also often gets overlooked as a tourist destination in Rajasthan. Yet, it’s a captivating place to visit, with its lakes, markets, temples, and blue houses similar to Jodhpur. This relatively laid back town is dominated by the extraordinary and imposing Bundi Palace, which protrudes out of the hillside. The ancient, winding lanes of the Old City are fascinating to wander through. Bundi also has around 60 step wells and a ramshackle fort above the palace. The Folk Tales specializes in rural travel and offers an interesting Rustic Charms of Bundi Itinerary.